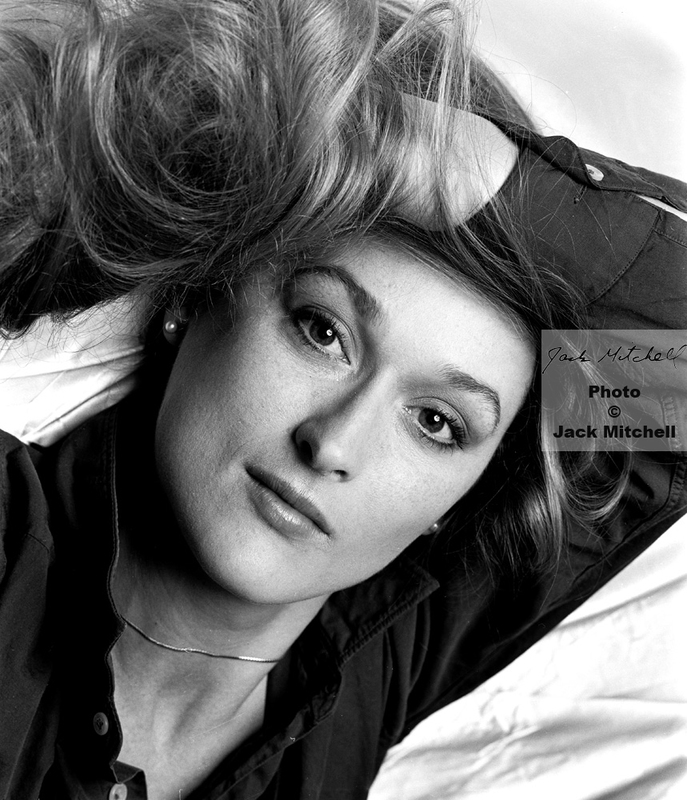 Jack Mitchell’s first studio session with Meryl Streep was in 1976 for After Dark magazine. Jack told me that at that time she was an ingénue and arrived by taxi. Jack took beautiful color portraits of her for the article. Meryl Streep photographed by Jack Mitchell in 1976. 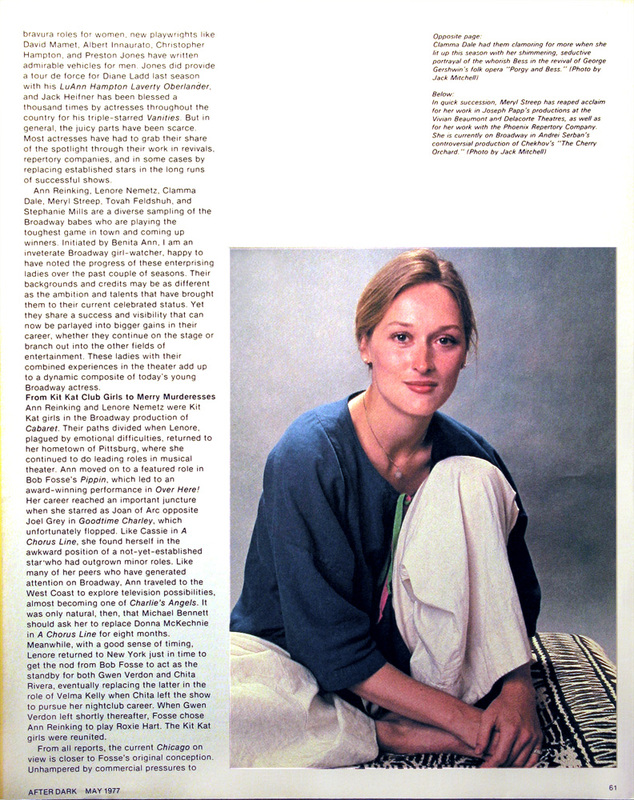 Meryl Streep by Jack Mitchell published in After Dark magazine, May 1977. 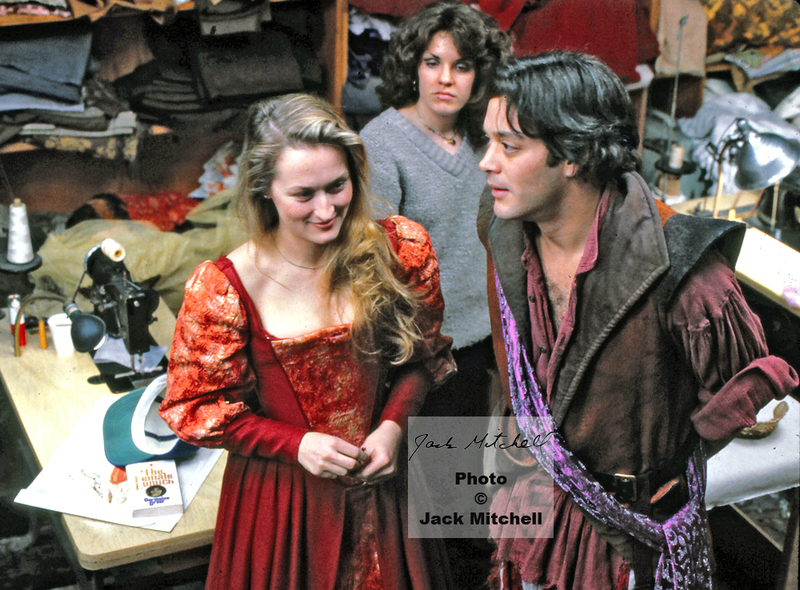 The next time Jack photographed Meryl was in the summer of 1978 during a rehearsal for one of Joseph Papp’s Public Theater Free Shakespeare in Central Park performances. Her co-star was Raul Julia. Meryl Streep rehearsing in full costume for the Shakespeare in the Park production of “The Taming of the Shrew” in 1978. When The New York Times magazine gave Jack the assignment to photograph Meryl Streep in 1978 he told me it was a whole different deal than the other sessions. Her first film "The Deer Hunter" and the television mini-series "Holocaust" were about to be released, launching the versatile actress' award-winning career. Instead of walking over or taking a taxi, Meryl was brought to Jack’s studio in a limousine accompanied by makeup artist J. Roy Helland and a press agent. Jack took an amazing series of color and black and white portraits of her. Jack’s iconic black and white portrait of Meryl Streep from his 1978 studio session. 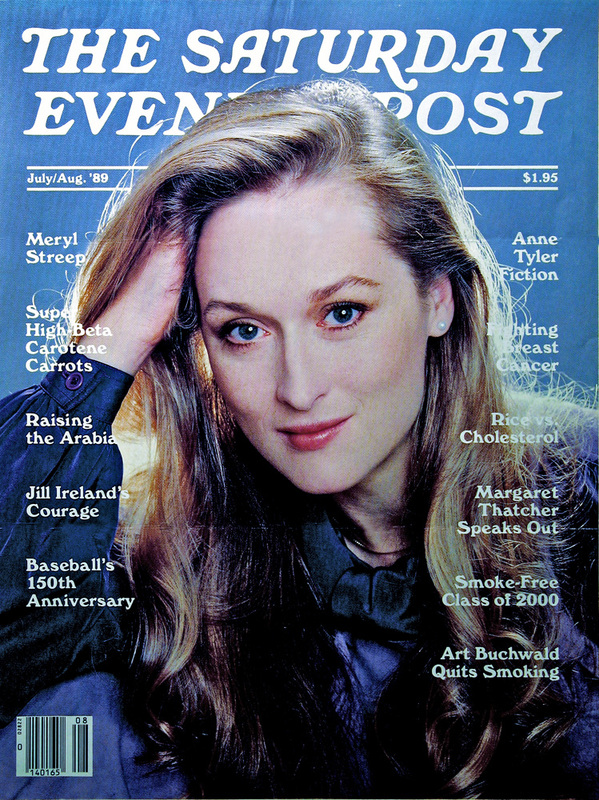 Jack’s famous New York Times magazine color portrait of Streep was published on the cover of The Saturday Evening Post in July 1989.